Riding for nearly 23,000 kilometres and that too in foreign countries is no mean feat. William Gonnet of Paris has done just that. 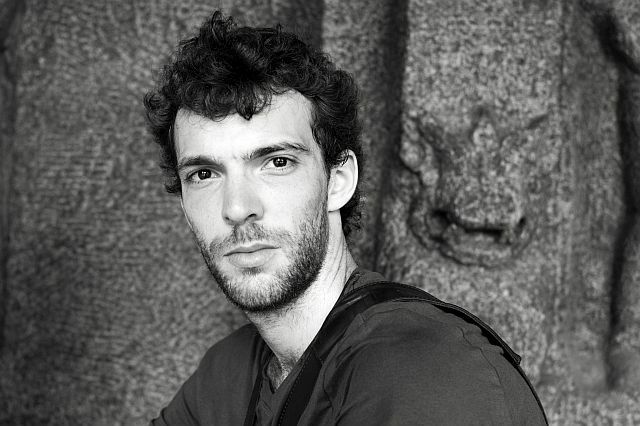 We caught up with him during his passage through India. Here are the excerpts. There is a quote by Saint Augustine of Hippo: ‘The world is a book and those who don’t travel read only one page’. While that may sit well with most of us, our choice in mode of travel does vary. Some choose to fly, others take the train or drive. 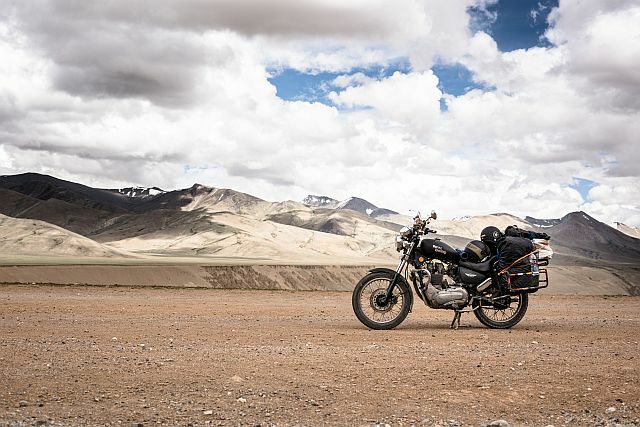 However, we, at Bike India, feel that there is no better way, if conditions and ability allow, than to ride. It isn’t for the faint-hearted, though. 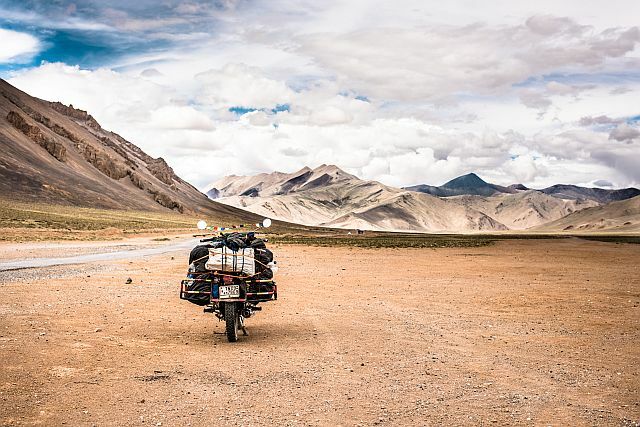 Recently we caught up with William Gonnet, a French national who has journeyed around India and Nepal on a motorcycle for nearly 23,000 kilometres. A photographer by profession, this 26-year-old needed a break from the city life of Paris… so, he simply packed his bags and hopped on to the next flight to India for this epic road trip. Read on to find out how this ride changed his life forever. 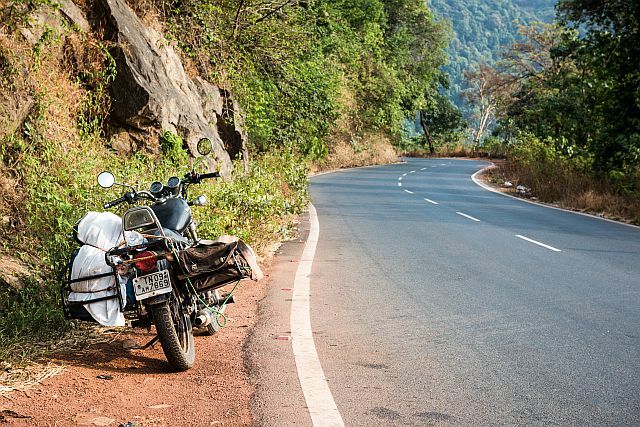 Bike India (BI): Why did you choose to travel on a motorcycle? William Gonnet (WG): Well, that was not the original plan. I met some fellow travellers on a travel forum, but the strict schedule that was planned did not sit well with me. Travel should be a bit open to exploration too. Soon an opportunity came up where I acquired a motorcycle and never looked back. BI: Which bike did you choose and why? WG: It was a Royal Enfield 350 Thunderbird with the AVL engine, the same that you get in the Machismo series. I like that engine because it’s easy to fix, if need be, even with my abilities. Yes, the need did come up. Before the trip started, I had to change the rear sprockets and make custom panniers that I welded myself with the help of a mechanic. If you plan on riding across a country, it is important to sit with a mechanic and really understand your chosen vehicle. There were many other issues. 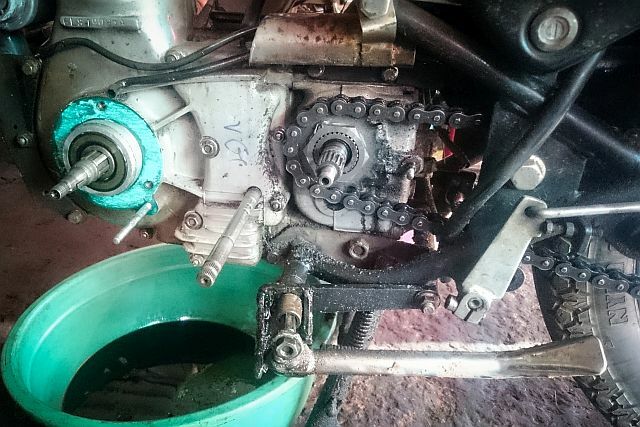 For instance, I had trouble with the gear sprockets and even broke the rear brake lever on a terrible road in Nepal. While traveling through Leh, a shopkeeper replaced the bike’s worn-out front brake pads with a crushed Coca-Cola can which, to my surprise, worked until the next store! BI: That sounds like some adventure. Did you carry any speciality tools? WG: Not really. I just had a set of spanners, a screwdriver kit, a key for the spark-plug, an extra spark-plug, pliers, clutch and accelerator cables, two tyre tubes, some oil, and grease. These were more or less sufficient. You’ll be surprised to know how many problems can be fixed simply by applying a spot of grease (laughs)! BI: But there must have been challenges on the road. Which was the scariest road for you? 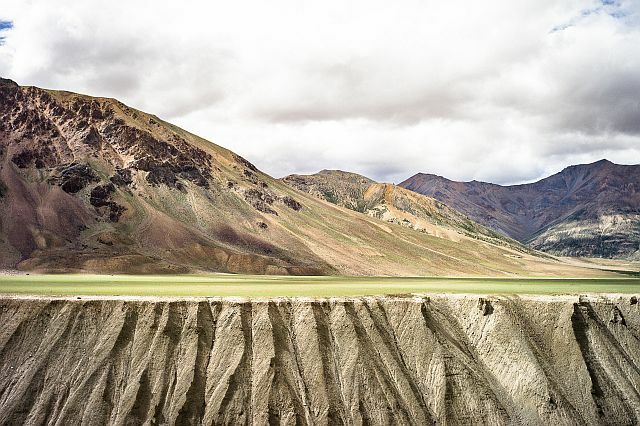 WG: (Thinks awhile) The Srinagar–Leh highway has some extremely steep parts. I did one trip at night on a very steep section; however, it being the night I did not realize it. It was not until I reached a checkpoint where the guard, who couldn’t believe someone was stupid enough to do it at night, showed me a few pictures of what the route was like that I realized how scary it was. Another scary short road but, for me, terrible was riding from Pune to Mumbai at night. Trucks, diversions, crazy driving, animals on the road… The condition of the road is also very poor, with oddly placed speed-breakers. Nope, I won’t do that again at night! 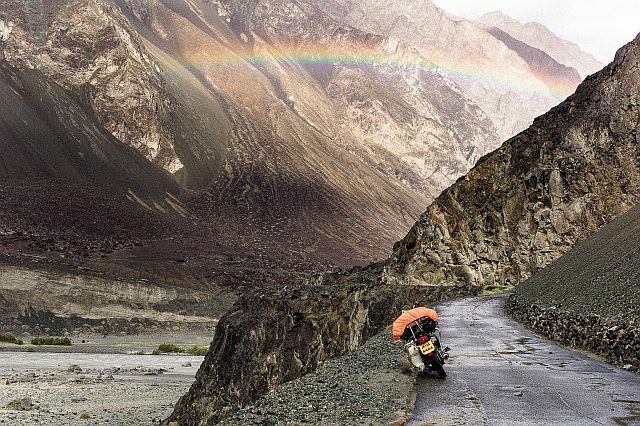 Nepal, too, had some challenging roads: the route from Pokhara to Muktinath is not scary but tough to ride, especially during the rainy season. It was on that road that I broke my rear brake pedal. BI: Which, according to you, are the best roads? WG: The Yamuna Expressway (Delhi-Agra) was a welcome break after a lot of traveling on tough roads. It’s where I was able to relax and recover even while riding. 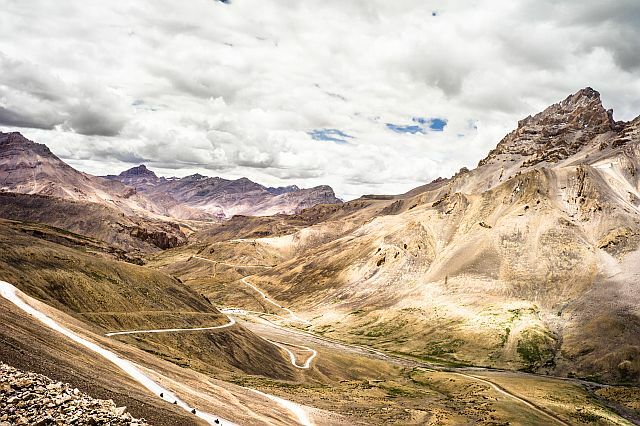 However, the Manali–Leh highway was absolutely stunning. There was a point near the Tanglang La that will stay with me forever! I remember stopping and breaking down in tears due to the beauty I was witnessing. I will always have that memory with me. It is a place I will surely go back to. BI: Would you change anything about the trip? “No plan” was the plan. Being on the bike alone for so long also taught me a lot about my own body as regards rest, food, and water, etc. The people I met and the places I saw and experienced are only possible when you have an adventure like this. I loved dealing with issues and being creative to come up with solutions. I even learned to be a “mini mechanic” which Royal Enfield bikes teach you (winks). I want to come back and do another trip, but this time explore the north-east and the south of India in more depth. I have been asked to visit the Rann of Kutch too. And I would choose a Royal Enfield; maybe, the Machismo 500 next time… a little more power would be nice. I had taken a break at a village while riding to Hampi. The villagers assured me that there was a hotel where I could get a bite and some much-needed shut-eye. What I did get was a place to lay out my sleeping bag on the floor of a temple and was fed the spiciest dal I have ever eaten in my entire life! Moreover, the water bottles that I carried with me, which were full up, were emptied and refilled with the water left over from huge rainwater reserve tanks. The colour of the water was green and it had an odd thickish texture, but it was my only hope against the spicy dal. I appreciate the villagers’ hospitality, but probably would never want that gastronomical experience again! It must have been about 3.00 am when I reached a check-post in the Bardia National Park. The guard there sent me on my way after a quick check. Much to my surprise, I ran into a herd of elephants on the road! Luckily, I escaped unharmed. After a few kilometres I noticed a pair of glaring eyes, reflecting in my bike’s headlight. It was only when I rode past that I realized that it was a full-sized tiger sitting by the road and that it calmly watched me go by! I kept riding and soon came to another check-post. The guard just could not believe that I was allowed to use that dangerous road in the middle of the night. He asked me to wait until a truck came by. I followed the truck out of the forest area and thanked God that I was still alive!